Best South Indian and Dosa in Melbourne! dishes you’ll only find on the street! 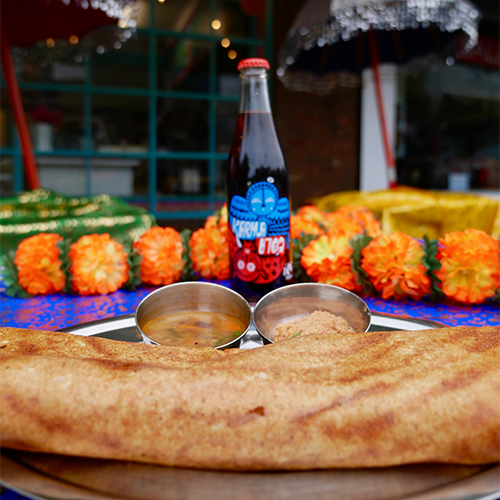 Dosa – Indian lentil pancakes packed full of potato & pea Chettinadu chicken. Always served with home-made chutney and sambar. 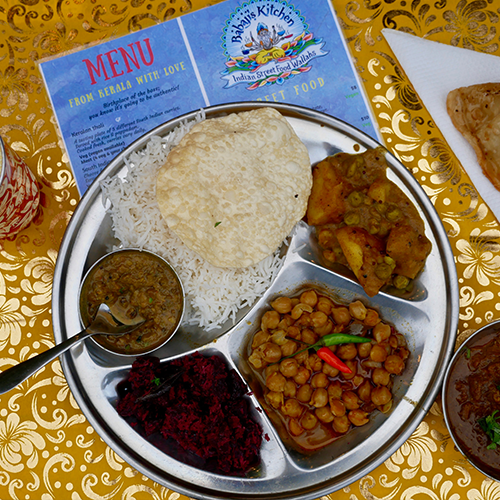 Keralan thali – A ‘tasting plate’ of five South Indian curries, from beetroot thoran, brinjal pacchadi, Malabar pea & potato and green lentil daal. Curries vary daily. (Only served at the restaurant). Meat, veg and vegan options. 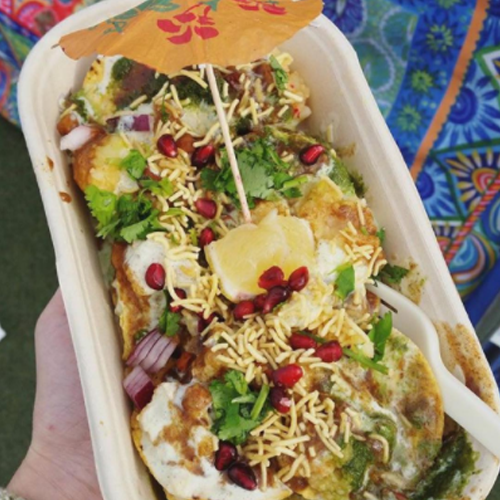 Indian Rail’s samosa chaat – Samosas topped with chickpea daal, fresh tomato, mint, yoghurt and home-made chutneys. 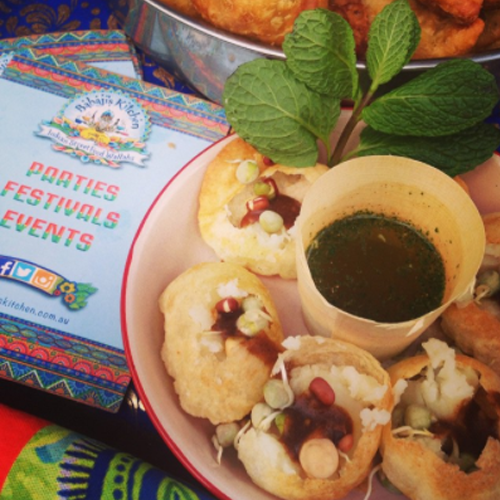 Pani Puri Bombs – Stuffed mini balls of spiced potato, chickpeas, onion and home-made chutneys. Served with spiced mint water. 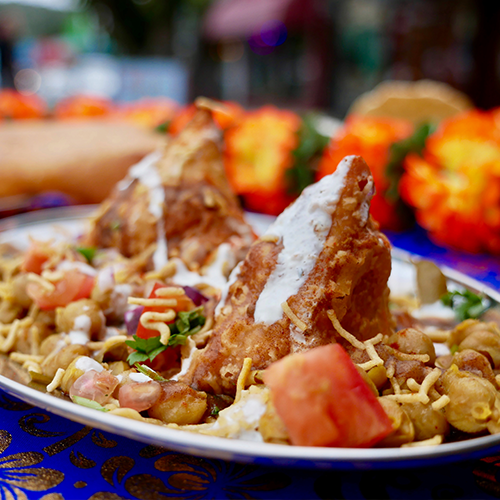 Papdi chaat (Indian nachos) – Spiced potato chickpeas, red onion, crunchy noodles & coriander. Piled high on papdi crackers and topped with home-made chutneys. 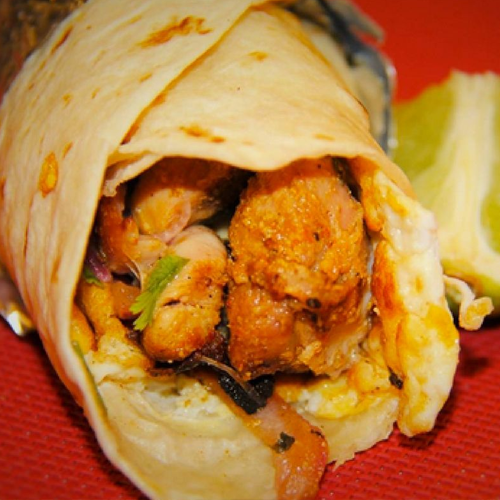 Mumbai Frankie (Indian Kebabs) – Marinated spiced lamb or juicy chicken, salad and our home – made chutneys.